The ASUS ZenBeam E1 LED Peckeet Projector is a TV-sized screen in your pocket that’s able to deliver up to 120-inch-diagonal projections. 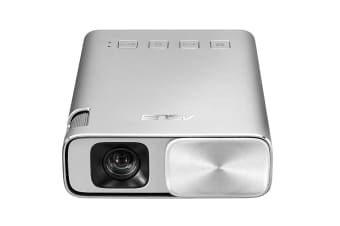 Designed with compatibility in mind, this palm-sized projector has an HDMI/MHL input to connect to everything including PCs, smartphones and media streamers. 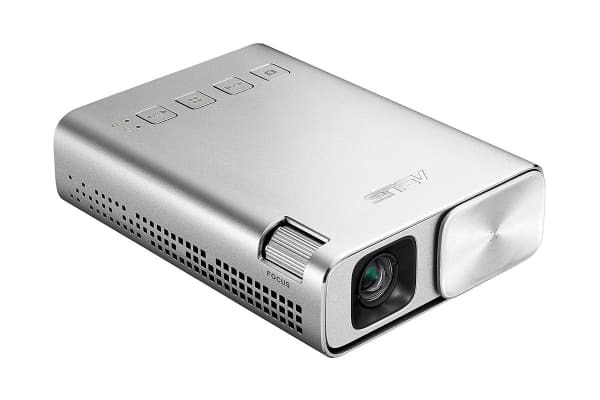 The ASUS ZenBeam E1 LED Peckeet Projector includes a built-in 6000mAh rechargeable battery that delivers up to 5 hours of projection time when you’re on the go and doubles as a power bank for your mobile devices. 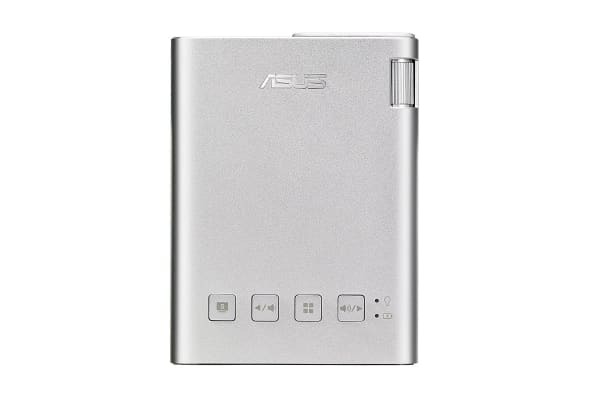 The ASUS ZenBeam E1 is elegant and light in weight and the Zen-inspired design with its understated aesthetic and spun-metal finish on the lens cap makes it a stylish addition to your pocket. At the heart of ASUS ZenBeam E1 is its bright 150 lumen Eco-LED light source with 30,000-hour lifespan and 100% NTSC colour gamut. DLP IntelliBright technology efficiently boosts brightness and contrast by up to 30%, while lowering power consumption by up to 50%. Accepting up to Full HD 1080p sources, the ASUS Zenbeam E1 automatically scales to its native WVGA (854 × 480) resolution, while preserving visual clarity and integrity to deliver projections sized from 15 inches up to 120 inches, even at short distances. The HDMI/MHL port on the ASUS ZenBeam E1 easily connects to game consoles and MHL-enabled mobile devices and can even charge your mobile device while simultaneously projecting content. The ASUS ZenBeam E1 is also compatible with a variety of media streamers even with compute sticks like chromebit, vivosticks so you can enjoy movies and TV series. 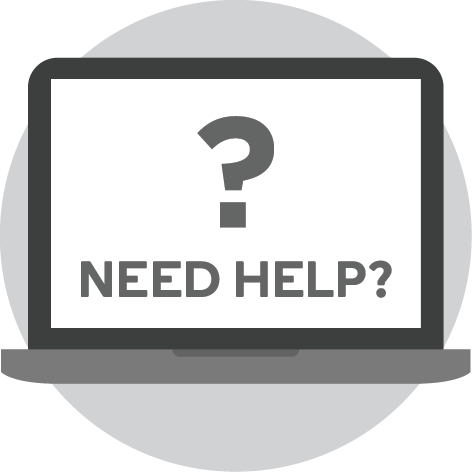 Auto keystone correction automatically eliminates trapezoidal images that can result from angled projection, achieving a perfect rectangle every time. ASUS ZenBeam E1 provides exceptional sound through its exclusive ASUS SonicMaster-enhanced speaker for a truly cinematic audiovisual experience.